Primus Cable - Link Technologies, Inc.
We've built the company based on our reputation and by word of mouth. We take pride in the partnerships we've created, the support we've offered and the vast array of products we inventory. The Primus Cable brand's greatest claim to fame is our consistent ability to deliver quality products in a timely manner. 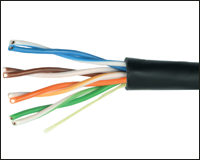 While our cable is labeled Commercial Grade, we don't just have commercial customers; we provide cable to a diverse group of customers, and their needs. Our commercial quality claim is based on offering products on par or better than some of the best known brands in the industry. Most customers want products that are inexpensive while meeting and exceeding industry standards. 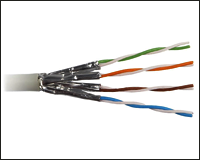 Interested in using Primus Cable? Please feel free to contact our Sales Team at 314-735-0270 or Email for Primus Cable products and prices! Browse these categories under "Primus Cable"
Featured products under "Primus Cable"